Home CUSCAPI targetinvest KFC food ordering infrastructure upgrade will benefit who??? Read here la!!! KFC food ordering infrastructure upgrade will benefit who??? Read here la!!! This very interesting stock is your must read, must see stock. As you know in Malaysia, 2 most prominent fast food outlet is Mcdonald and KFC. In terms of IT infrastructure upgrade, Mcdonald is always leading, and KFC will then follow. You might view that KFC is slow, but it is not too bad after all, because that gives you opportunity to capture the chance to earn money. 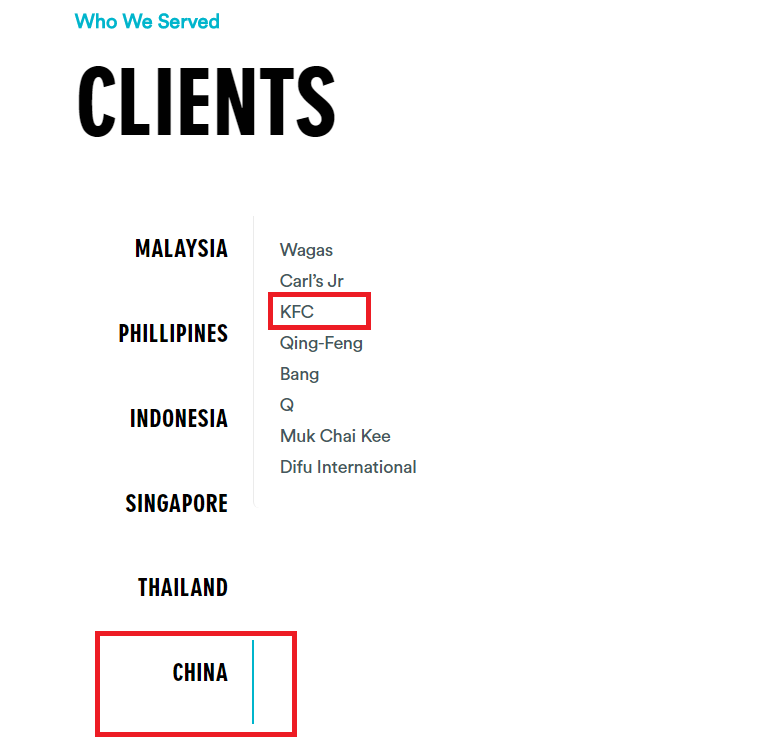 Firstly, all the KFC outlet in South East Asia is somehow related to QSR (QSR is the franchisee for KFC in south east asia). And all of KFC point of sales system is actually maintained by a company called Cuscapi. So, if QSR rolled out an outlet upgrade for KFC that involved POS system, that would not only referring to the Malaysia branches, but South East Asia branches which is a lot. 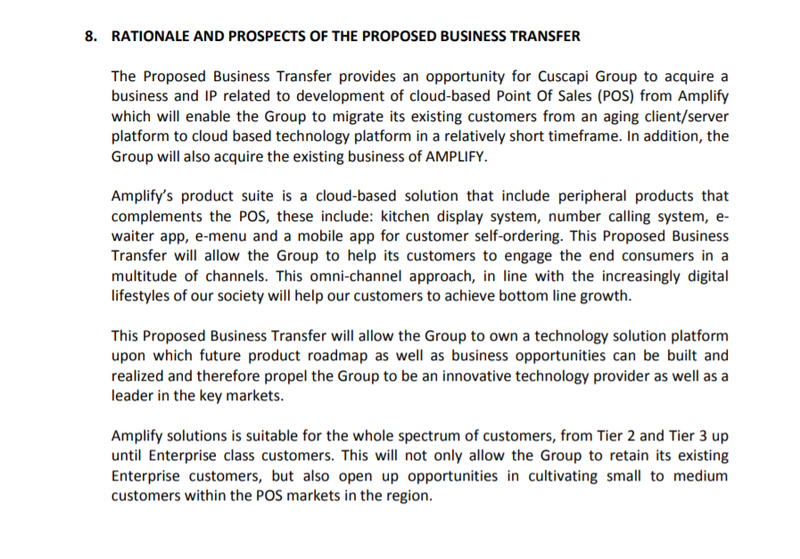 So what is the upcoming attractiveness of Cuscapi moving forward with the latest move of acquisition on Servedby Alfred F&B system? This complete system developed by the singapore based developer is very attractive to be utilized by Cuscapi to enhance their existing main customer - KFC, to be on par with IT infrastructure in food ordering system with Mcdonald. 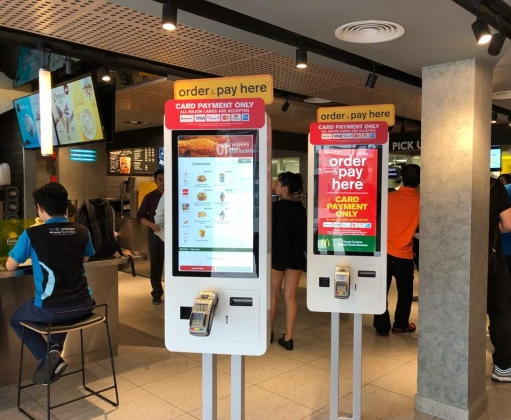 I believe you guys already noticed this self service ordering kiosk in Mcdonald already. Unless you had not been visiting Mcdonald lately, then you should give a try on this kiosk. Very good and friendly to use, and payment is good through using wave. Good, clean and easy. For this, KFC will be implementing this very soon, and that is the strong reason for Cuscapi to spend RM 7.6 million in buying Amplify Me. Pte Ltd which holds the technology and patent for the self ordering kiosk as well as POS cloud system. So what is Cuscapi prospect on this. If 1 outlet upgrade will require RM 50k, complete overhaul + commission + testing + infrastructure upgrade and etc etc, that would be potential RM 63.5 million contract here. So what is the prospect at China? According to business insider, it is more than 5000 outlet. WOW!!! 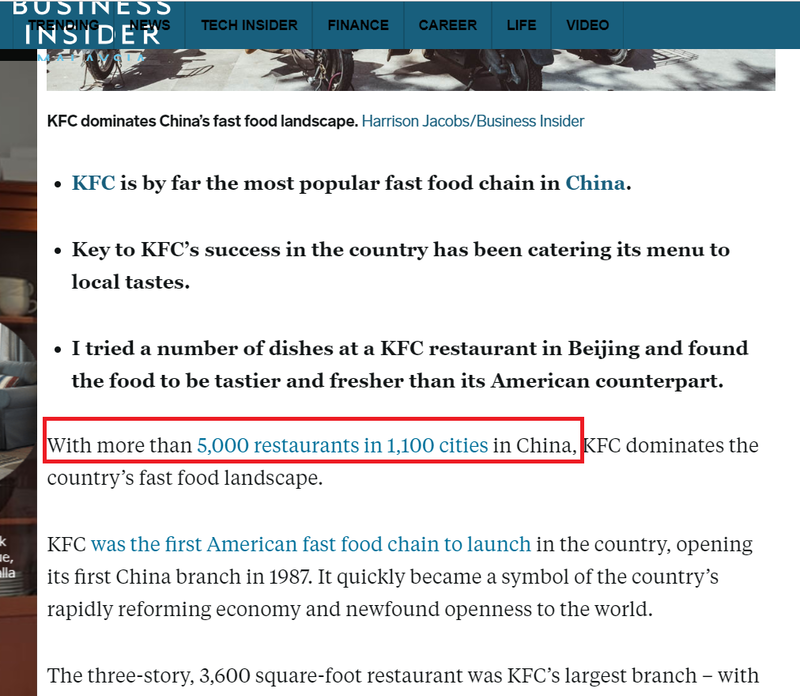 According to Wikipedia, the total KFC outlet in China stands at 5910 outlet !!! 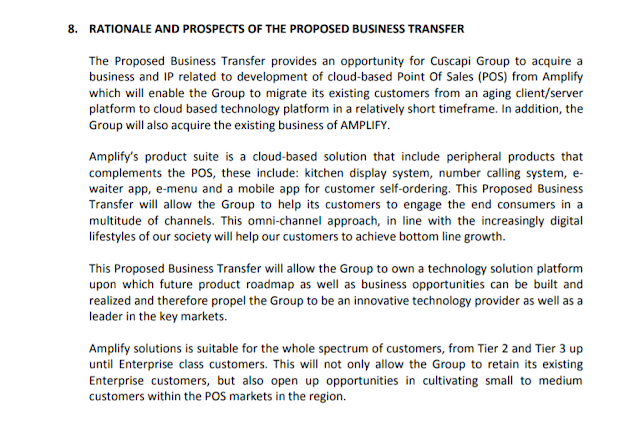 That is quite a big prospect coming for Cuscapi, by paying RM 7.6 million to acquire Amplify Me Pte Ltd, Cuscapi is looking at generating sales revenue of potential RM 350 million in South East Asia + China. Of course, RM 50k is my assumption, but this kind of main POS system related stuff, don't expect it to be too cheap, because it is the fore front running service. Even if discount another 30% off RM 50k average, you will still get approx RM 250million of potential business coming in. That is why now Cuscapi at RM 0.21 is very attractive. Do remember, the previous owner injected fund into Cuscapi at RM 0.25 for ordinary share and RM 0.35 for warrants exercised. If want to invest, then invest fast fast. Not asking you to contra, but invest properly for a long term to be able to see fruits.